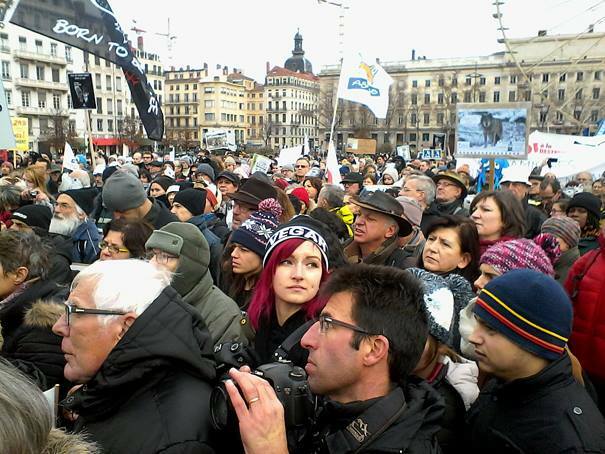 White Wolf : 3000 people protested in France to say 'NO' to wolf hunting. 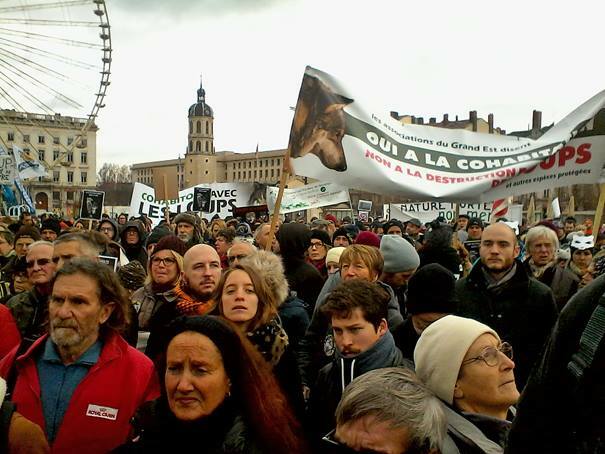 3000 people protested in France to say 'NO' to wolf hunting. 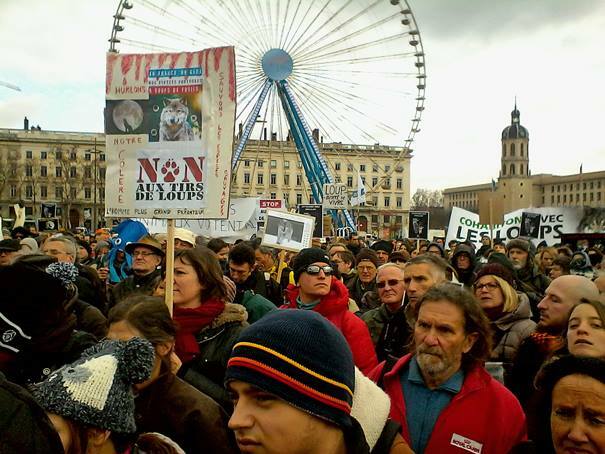 Around 3000 people protested on Saturday ,January 16th, 2016, in Lyon, France "to say no to wolf hunting". 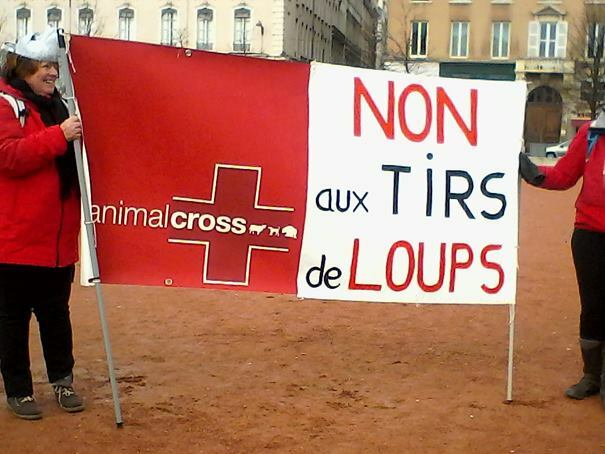 They were protesting against the current regulation that authorizes the slaughter of a number of these canids (36 in 2015). 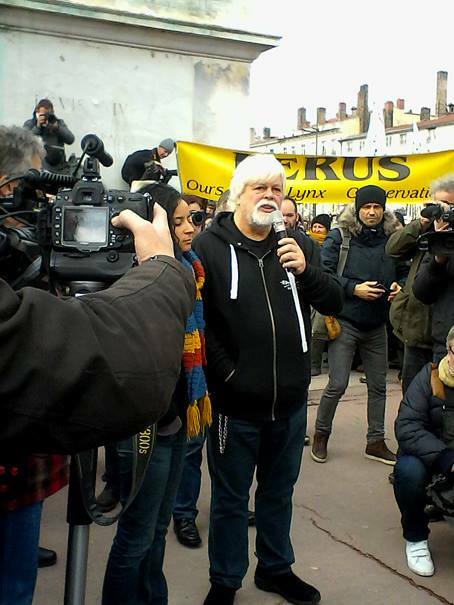 33 of the environmental groups and associations involved in this movement were there, and several personalities like Captain Paul Watson (founder of Sea Shepherd), Allain Bougrain-Dubourg ( president of the LPO - League for the Protection of Birds), Fabrice Nicolino, journalist at Charlie Hebdo, Gérard Charollois (lawyer and environmental activist), Pierre Athanaze (Action Nature), Marc Giraud (ASPAS), Yves Paccalet ( writer, philosopher, journalist, and naturalist), were also present.
" 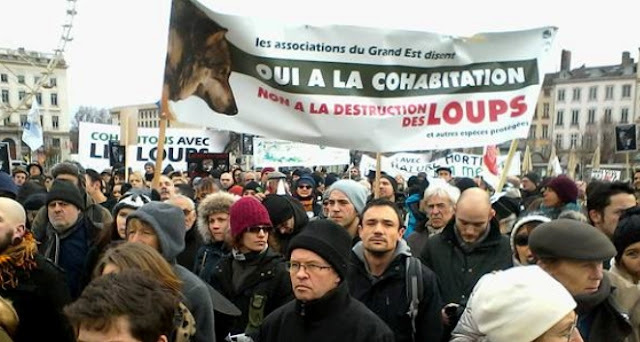 Yes to cohabitation with wolves"
" No to the slaughters of wolves "
Responses to "3000 people protested in France to say 'NO' to wolf hunting." No WOLVES should b Killed no matter the situation! They have every right 2 live!